The sculptural Cane-Line Nest collection from Jusqu'á Mishka is an award-winning, multiple use line of furniture made from sustainable, natural materials. 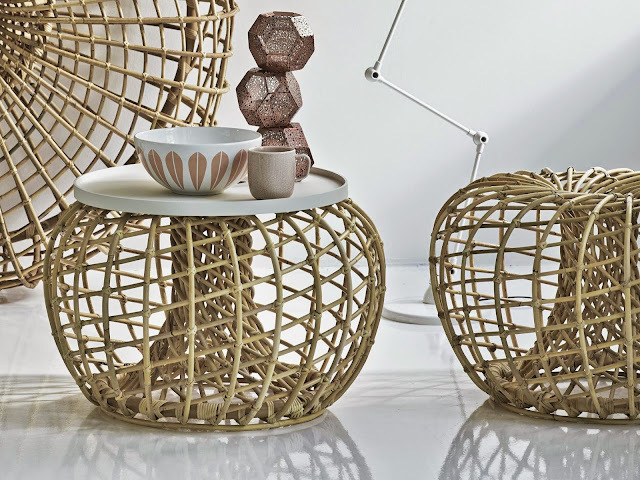 The Nest comes in multiple sizes and can be used as a table, bench or footstool. 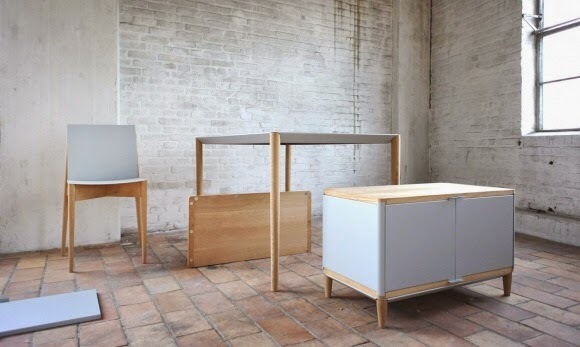 Another set of furniture that does not require screws or nails is this line by Benjamin Vermeulen called Magnetic Assisted Geometry. As the name suggests, the components of the furniture are held together using powerful magnets. While some pieces look a little stark and utilitarian, but it is a good idea overall and the metal parts of the furniture are warmed by the wood. With no screws or other tools required, the furniture is easy to assemble and disassemble. We seem to be featuring a lot of children's beds on the site at the moment as some beautiful ones are being produced. This one is called Spross and it is a toddler's bed designed by Christoffer Martens in 2008. The bed is made in the 'Moormann Style' and is literally designed to be slotted together without the need for screws or nails. The Spross bed is also available in black and white. For Sony and perhaps us. In June of last year we ordered one of these watches. It was sent twice, but is yet to arrive so we may have to switch allegiance and consider getting one of these instead. Having left its proprietary software behind, this beauty powered by Android Wear is the SmartWatch 3 from Sony. This move to an Android platform makes the watch compatible with a larger number of devices and apps than the previous iterations. 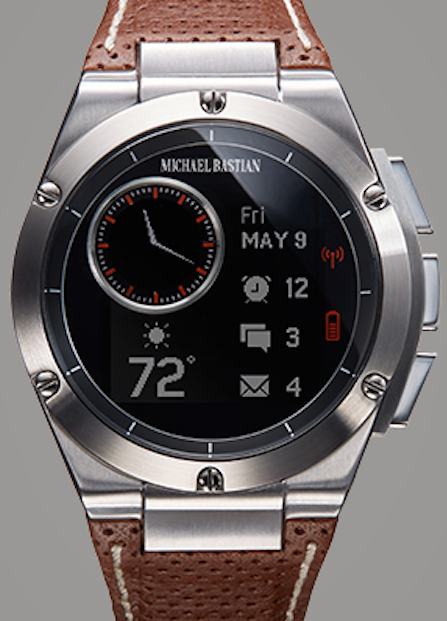 The watch offers P58 waterproofing, a quad-core ARM processor, 4GB of storage, Bluetooth 4.0, NFC, battery life of up to two days with normal use and the requisite sensors, including an ambient light sensor, an accelerometer, a compass, a gyroscope and GPS. 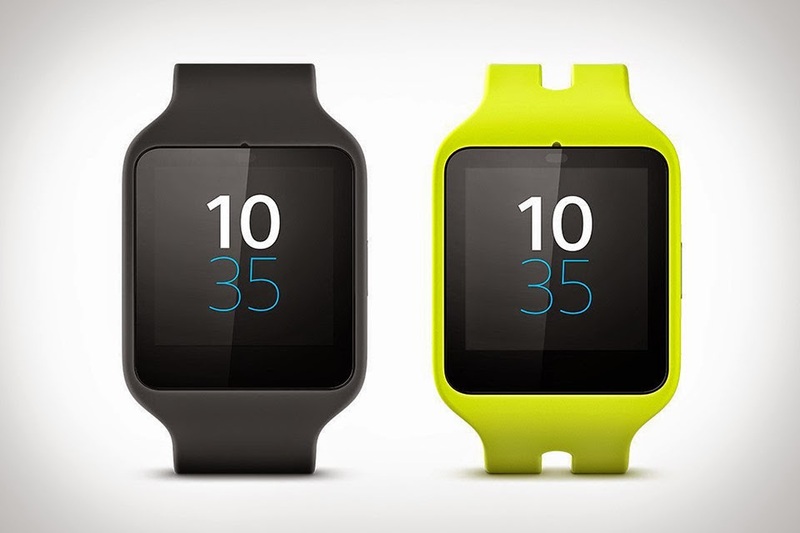 The SmartWatch 3 is available in black, white, pink and lime. A fun and easy collection that captures the fantasy of magical creatures from Gardner and the Gang featuring colourful animal prints on soft organic cotton. The collection is available in stores today. Well, we couldn't choose a more stunning property to take our name*. Atelier House is located on the West Coast of Barbados and features beautiful views over a wooded forest area to the sea beyond. The house, which is available to rent, has been designed to maximise the feeling of space, the views and also to blur the boundaries between the interior and the exterior. The bedrooms have stunning floor-to-ceiling glass walls to make the most of the panoramic vistas and the living areas are adjacent to the infinity edge swimming pool. The house has been decorated using a simple, cool palette of limestone and white and the rooms have been outfitted with carefully selected artwork and furnishings. 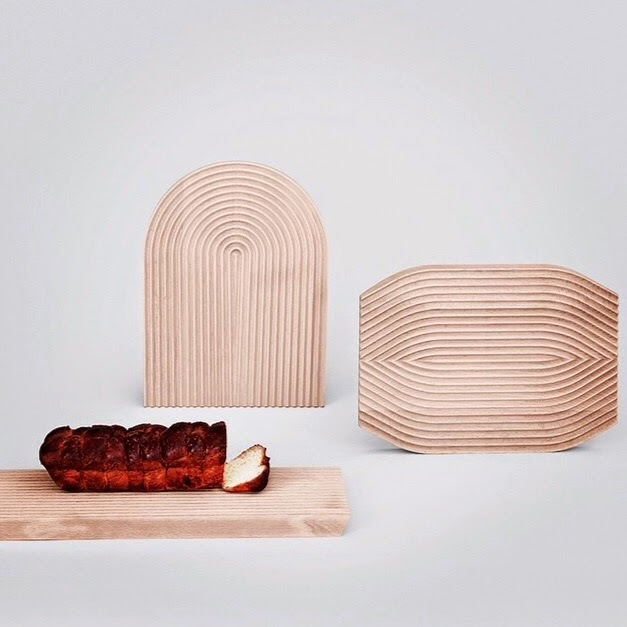 We love these corrugated Field breadboards which are designed by Shane Schneck for HAY. We were inspired to profile this collection by the ever stylish actress Diane Kruger who was recently spotted wearing one of these shift dresses to an event in Los Angeles, California. We love the spare 60s influences and 70s colourways and the nod to the athleisure trend's loose shapes, technical fabrics and go-faster stripes. Large tropical prints featuring Mokara orchids, Emperor tulips and Moonflower keep the clothes from looking too functional and add a feminine touch. Two of our favourite design houses have come together to collaborate on a line of furnishings called Fusion. BoConcept, the Danish furniture company and Nendo, the Japanese design group helmed by Oki Sato came up with the idea to collaborate when Sato and BoConcept CEO Torben Paulin met at the Stockholm Furniture and Light Fair. An amalgam of Danish and Japanese modernism, origami was one of the inspirations for the line and its influence can be seen quite clearly. 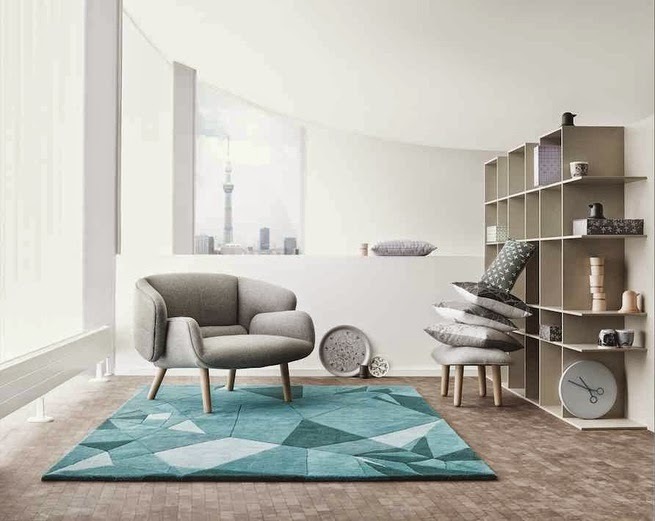 So far, the collection includes a sofa, a chair, a rug, tables, a shelving system and accessories all designed by Sato. The use of solar energy is slowly gaining traction in Bermuda partly as a result of high energy costs (due to the fact that traditional sources of fuel must be imported) and partly due to the abundance of readily available sunlight. 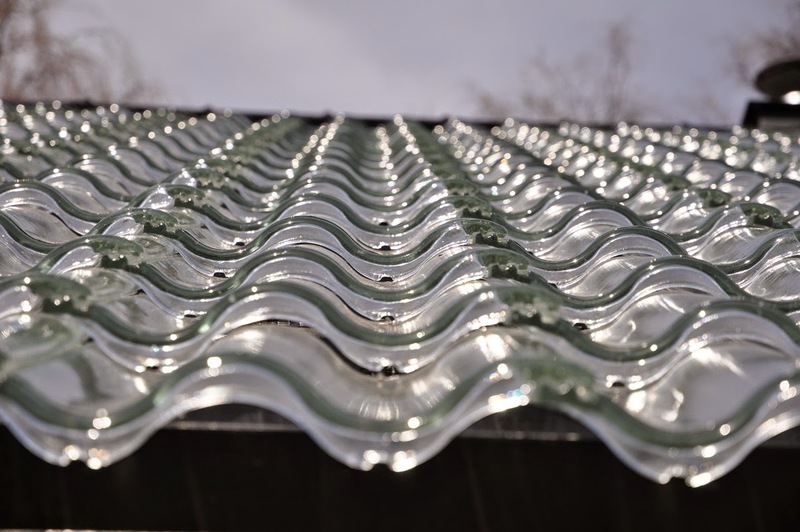 More commonly seen around the island however are the standard solar panels which, when mounted on one of the island's traditional white, slate roofs, prove to be less than aesthetically pleasing. With a clever angled design, Saidoka is one of the more stylish iPhone-charging docks we've seen. Designed by Bluelounge, the gentle angle of the dock allows you to easily read notifications and respond to messages without continually having to pick up the device. 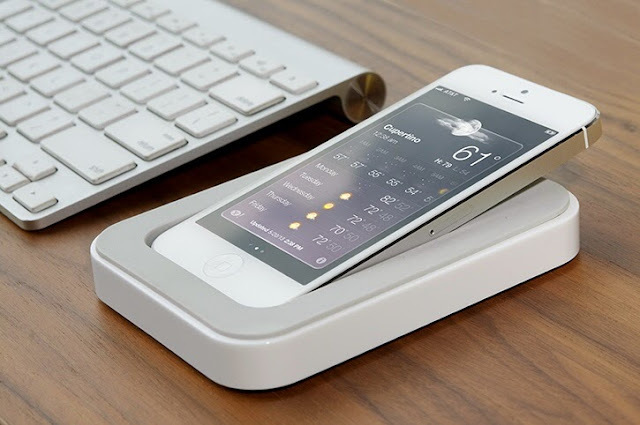 The dock plugs into a USB port and charges your phone while you work. With a soft rubber lining, the minimalist look perfectly complements the iPhone’s simple design. 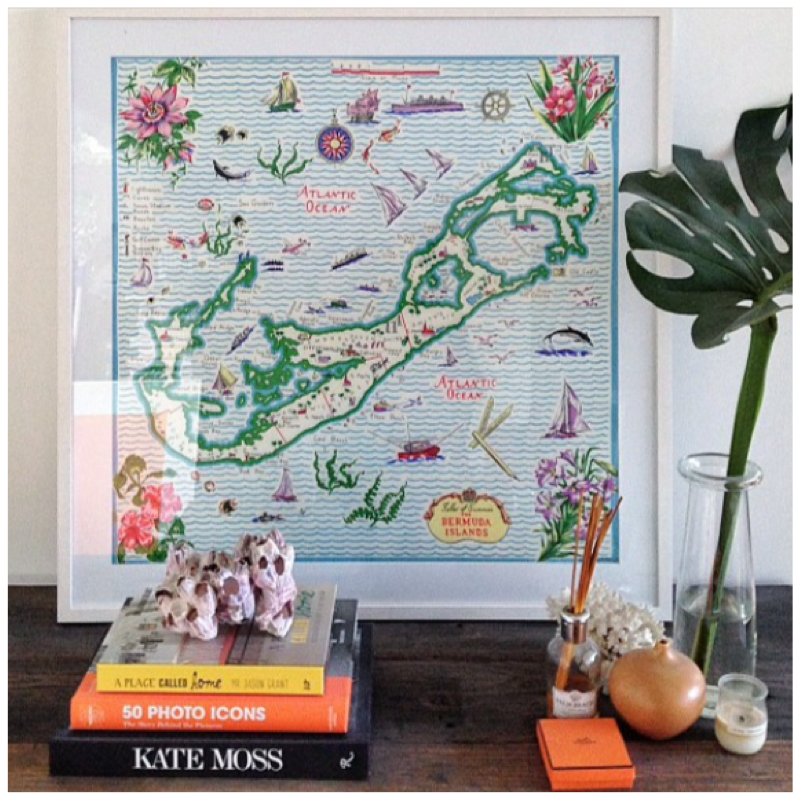 From half way around the world, this vintage scarf featuring a map of Bermuda was available for purchase from Australian household boutique Table Tonic. 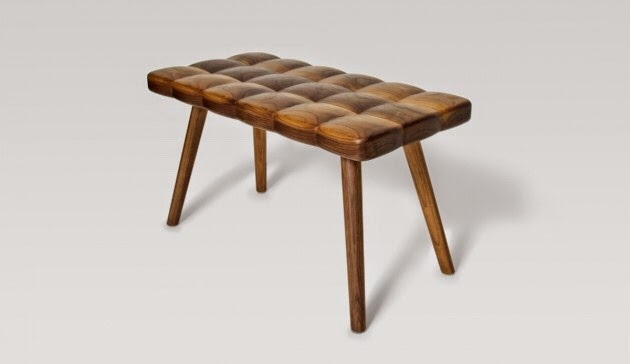 Similar visually to the daybed by Stefanie Schissler which we wrote about a few weeks ago, is this walnut bench by Joy Charbonneau and Derek McLeod which looks like tufted upholstery. The bench makes good use of the shaping capabilities of a CNC machining centre to create the undulating surface. It's doubtful that these classic sneakers will ever go out of style so it's good to see them being given a new spin by one of fashion's darlings of the moment Pharrell Williams. The Pharrell Williams x adidas Stan Smith “Polka Dot” Packs which he has previously designed for Adidas now come in small or large polkadots. 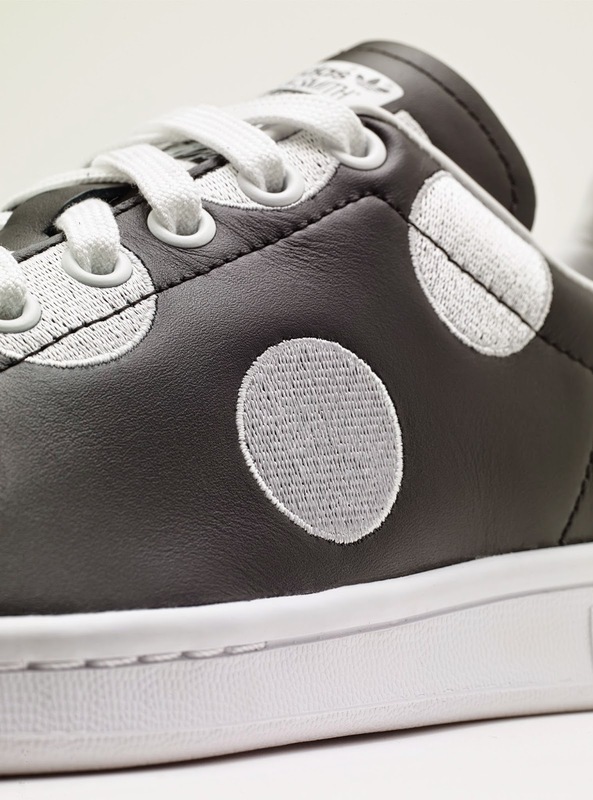 The smaller dots our printed directly onto the surface of the shoe, while the larger dots are embroidered. The small dot shoe was launched at the end of November and the large dot was released last December. Both styles are available online at adidas Orignals and at select stores. The Bermuda National Gallery is currently playing host to two new shows: 'Marking Territory: A Focus on Bermuda's Landscape' and 'Highlights from the Young Collection'. 'Marking Territory' takes over the lower floor of the gallery (but also spills outside via an in situ piece by Ami Zanders) and is a small but effective exhibition of 24 artists, the aim of which is to explore the manner in which traditional artistic methods can be used in new or different ways to express a personal experience with the island's environment. While landscape art has been popular for centuries, here the artists explore new territory - literally and figuratively - as they convey their ideas through media more usually associated with other art movements or creative disciplines such as video art, symbolism and satire. 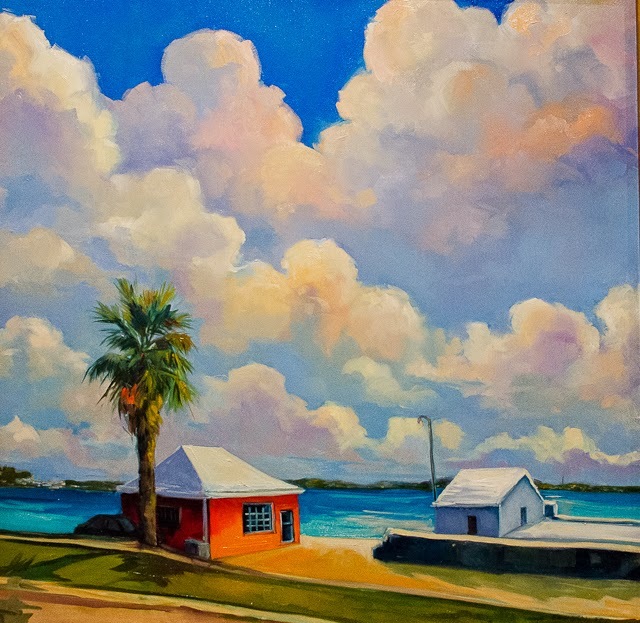 The resulting exhibition, given the size of the subject-matter, is a varied and interesting portrayal of the landscape of Bermuda from several different perspectives. 'Marking Territory' runs until May 30. 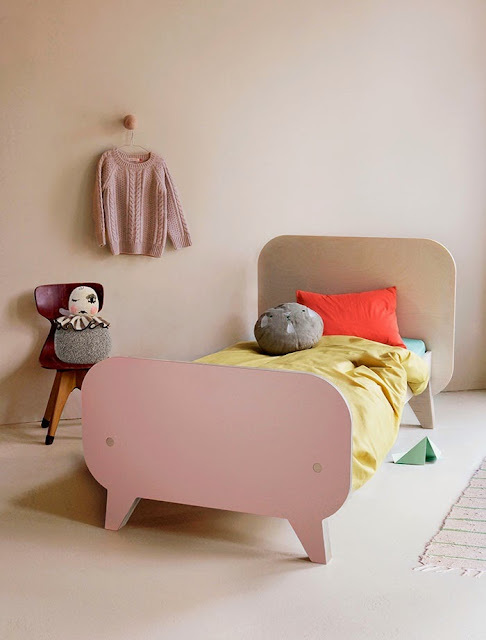 The Adventur Junior bed, inspired by classic woodcut beds, is made up of flat pieces of wood and comes in three different colours: green, pink and natural. 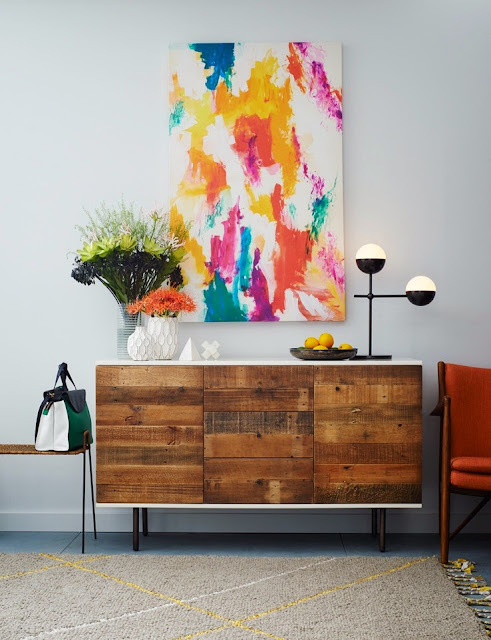 Two of our favourites, Kate Spade Saturday and West Elm, have collaborated on a collection of home goods including upholstered seating, lighting and rugs as well as soft furnishings like cushions and poufs. The offering is, as you would expect, full of bright colours, patterns and graphic prints from Kate Spade Saturday's first collection in 2013 (we should know, we have a jumpsuit made out of the material hanging above the credenza in the top picture and a top and shorts in the pattern of the rug pictured after the jump!). While we are not sure how we feel about seeing our clothes translated so literally into home decor, we do like the pieces and the overall aesthetic of the collaboration. We can't deny that the two brands really do compliment each other. 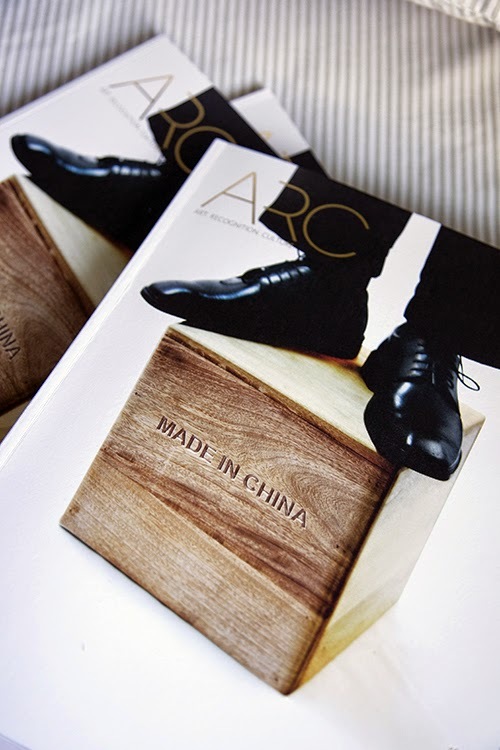 ARC Magazine is a not-for-profit Caribbean arts and culture magazine which launched its first print issue in January 2011. The magazine began life as a blog, then a website before also putting out a print version (although recently a decision was made to stop printing the copies of the magazine until further notice). 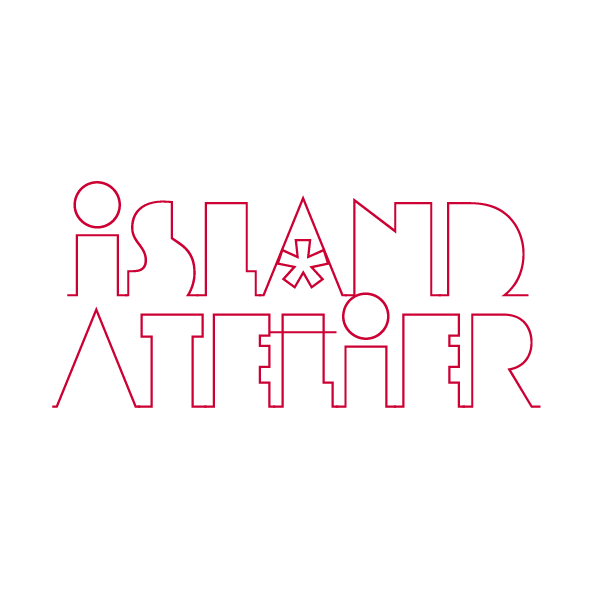 Similar to this blog, the aim of ARC Magazine is to connect Caribbean contemporary artists with the world by providing a platform for them to gain international exposure and to act as a showcase of the Caribbean's rich cultural heritage. It does so by providing an online space for interaction and the sharing of information about contemporary practices, exhibitions and scholarship opportunities. Its goal is to give emerging artists from developing states a network to enable them to engage with each other. The magazine is responsible for organising a number of collaborative projects and curatorial investigations in Trinidad and Tobago, Suriname, Barbados, Jamaica and elsewhere. Although the collection may not have warranted a review this time around, we will admit that we have not stopped thinking about the platform clog shoes and boots the models in Prada's Spring show wore up and down the runway. If these versions are a little too outré for you and you can't see yourself wearing any of them on the supermarket run, just distill the essence of the look, meaning you'll be on trend if the shoe has a wooden sole plus some height. Italian designer Davide Giulio Aquini has created a lamp from terracotta called Olla as part of the Matera Collection for manufacturer Ilide. Intended to be an homage to the simplicity of Italian territories where man and nature are inextricably linked socially and culturally, the lamp's form mimics an earthenware vessel but still manages to convey a certain amount of sophistication. 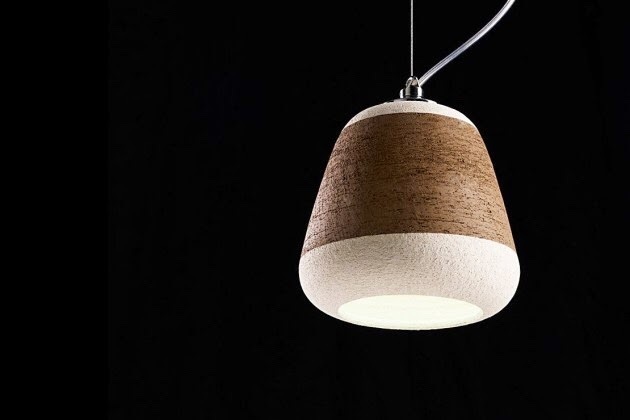 The lamp is manufactured using a unique technique that allows the terracotta and other materials to combine without compromising the object's durability. A large part of the Internet was up in arms last week with the announcement that Target's latest collaboration will be with venerable Southern prep staple Lilly Pulitzer. There was a not unreasonable fear that the collaboration would cheapen the legacy of the 56 year old Pulitzer brand, one of the pioneers of American resort wear. In any event, Target is committed to the collaboration and is embracing Palm Beach resort chic with a modern spin on the heritage brand’s exuberant prints and patterns. The limited-edition collection will feature fifteen exclusive prints, created specifically for the occasion by Lilly Pulitzer artists. The 250-piece collection will include ready-to-wear apparel, accessories and shoes for women and girls, as well as home accents, outdoor entertaining accessories, beach gear, travel essentials and beauty products (in further collaboration with L'Oréal and Essie), all in keeping with Pulitzer's print-heavy signature. 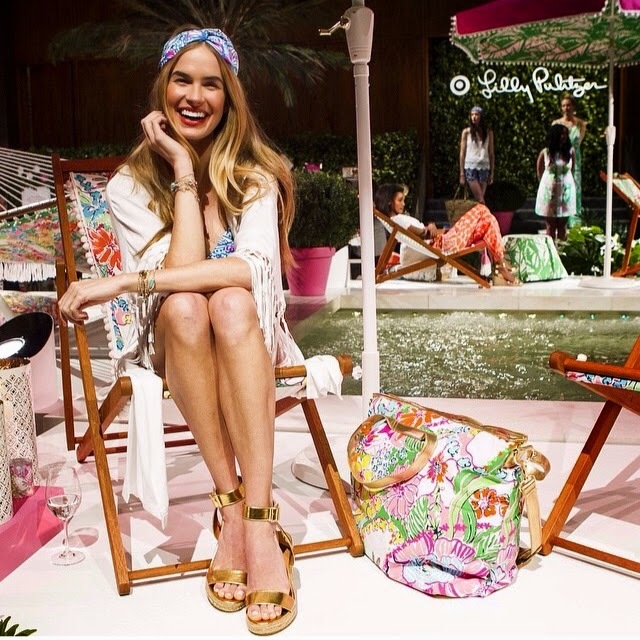 Lilly Pulitzer for Target will be available in stores across the US and Canada and online from April 19. We feature a lot of Nendo's products here but when they consistently bring interesting design to the market it's really hard to pass them up. This time they're offering a new stationery collection called 'by |n' which is minimal, practical and elegant. 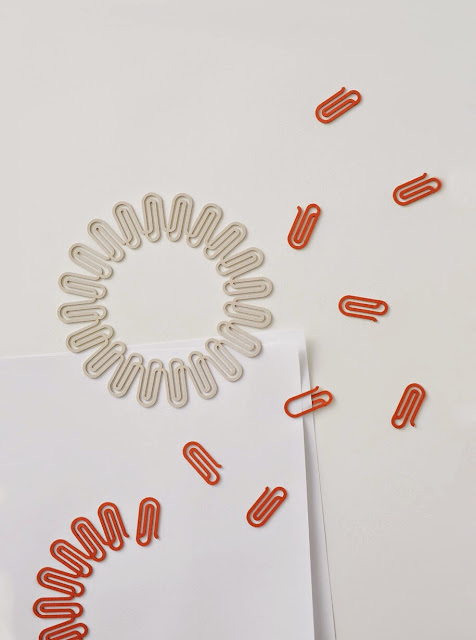 The collection has everything you need to make your desk and office life easier including a clear acrylic ruler whose markings fade from white to black, making the ruler easy to use on dark and light surfaces alike, sticky notes in the shape of pie charts, paperclips made of paper that come connected and are detached one by one for use, three-dimensional rubber bands, a desk organiser, an upright pen holder and envelopes. 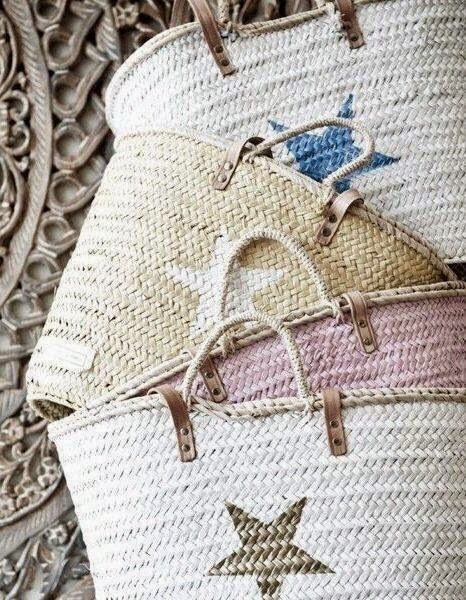 We love these super chic, hand-painted straw baskets from Spain's Twenty Violets, now available at Beth & Tracie. 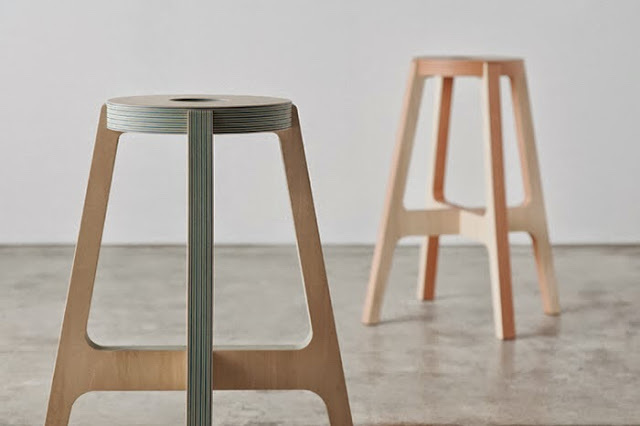 These eye-catching stools by drill-design are made from an experimental new material called Paperwood. The ecologically-sensitive plywood was developed by the design studio which holds the brand mark. Drill-design was established in 2001 by Anzai Yoko Hayashi and Yusuke. We haven't featured any children's parties here for quite a while, so we are happy to bring you the details of another one. Some time ago we alluded to the fact that we kept seeing flamingoes everywhere and on everything. 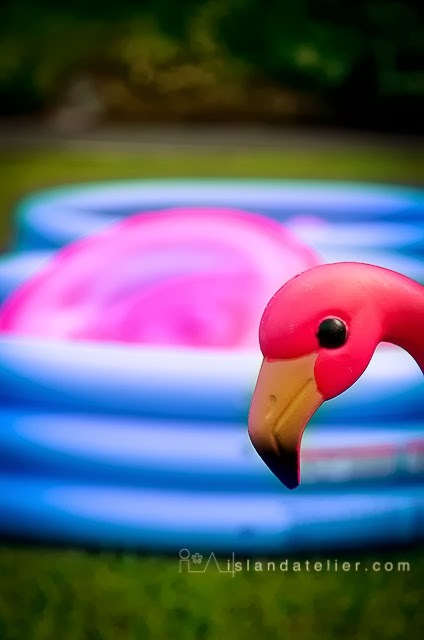 Part of the reason for this was due to the fact that we were in the midst of planning this flamingo-themed pool party. The premise of the party was simple: provide a number of splash pools and water games to keep guests cool and entertained on a hot summer afternoon. The party was built around a colour scheme of pink, orange and blue, polka-dots and, of course, lots and lots of flamingoes. The pretty birds showed up as lawn ornaments courtesy of the Bermuda Aquarium, Museum and Zoo's annual flamingo flocking fundraising initiative which raises money to fund conservation education classes at that organisation. They also appeared on cupcakes, cookies, lollipops and gift bags. The party was held at the height of summer and, as the chosen location did not have an in-ground pool, blue inflatable pools of different shapes and sizes were scattered around the garden. The lawn was decorated with pink and orange beach balls and guests received pink, orange and white leis to wear. The inside of the house was decorated with orange, pink and white polka-dotted bunting and paper fans. With an emphasis on free play, games were limited to an egg-shaped ice cube relay race and a lucky dip for golden eggs containing egg yolk candies. Many elements of the party such as the lucky dip and favours, the ice egg game and glitter feather headbands (which were given out in lieu of party hats) were handmade. As a thank you, guests were given flamingo backpacks as goody bags and they also took home as many beach balls as they were able. While at first glance this lamp by Enrico Zanolla & Irregolare may appear just to be an exposed lightbulb, it is in fact crafted from ceramic and its shape is inspired by the press machines which are used in the wine-making industry. 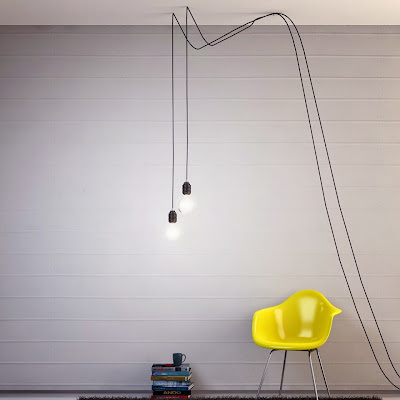 Called Vidon which means ‘big screw’ in Friuli, it is lighting in its simplest form. Snorkelling is a great way to take in the sights Bermuda has to offer under the water without the need for bulky scuba equipment or certification, but often you spend more time wrangling leaky, foggy goggles and submerged breathing tubes for it to be very enjoyable. 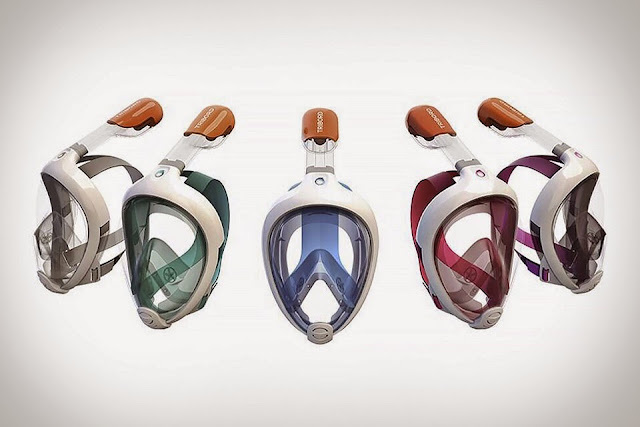 The idea behind the Easybreath Snorkeling Mask is to make snorkelling fun again. A simplified and integrated unit, the mask fits over the entire face of the wearer and allows them to breathe normally while underwater without having an uncomfortable bit in the mouth or suffering a loss of visibility due to fogging. Further, the breathing tube is positioned to the back of the snorkeler's head pointing above and away from the water rather than on one side as is traditional and features a dry-top system that plugs the air intake when immersed, preventing water from entering. 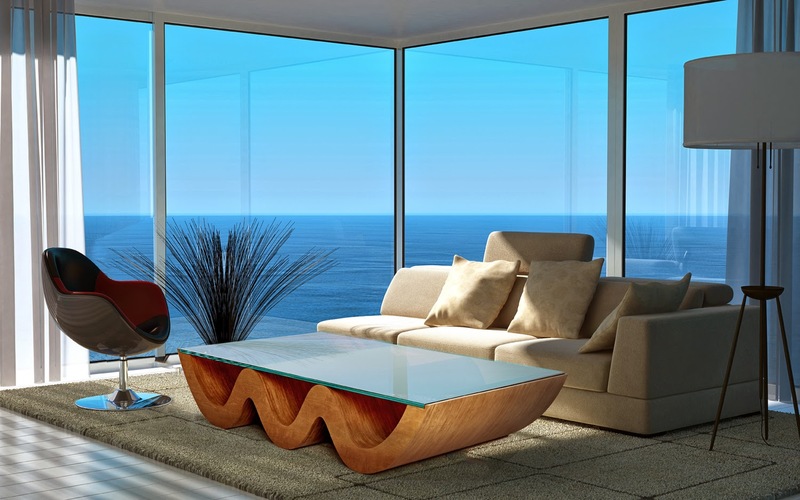 The Le Vague table from Trinidadian designer Scot Sardinha is inspired by the love of the ocean. The table, which sits on a layers of stacked, high grade, ¾” maple plywood in a wave pattern, has a ¾” thick sunset-coloured glass top. 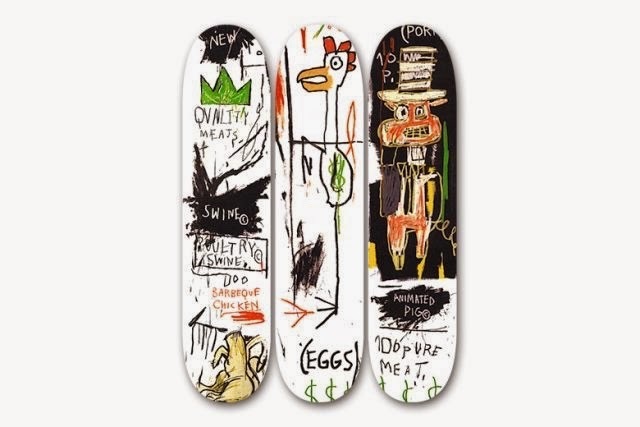 The estate of the late Jean-Michel Basquiat has partnered with Brussels-based The Skateroom on their latest collaboration which features some of the artist's iconic work. The collaboration is available to order from The Skateroom's website today. 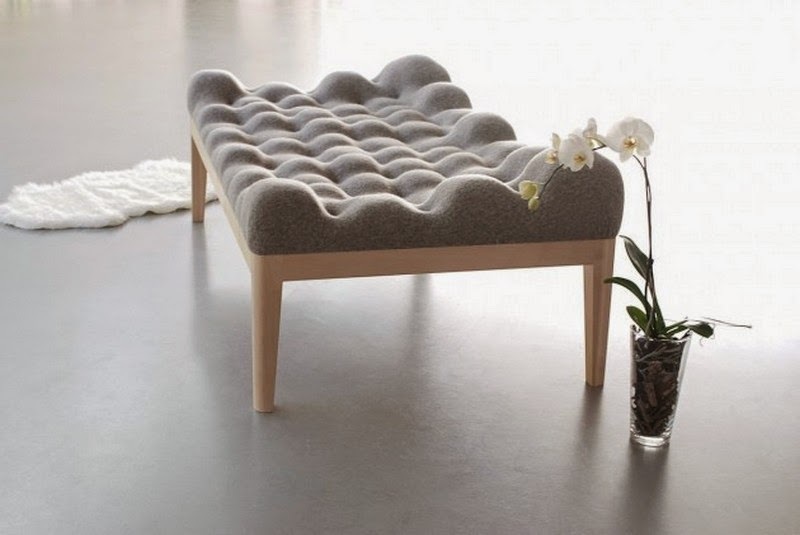 This tufted, bolstered daybed is how we'd imagine sleeping on a cloud to be. German designer Stefanie Schissler came up with the concept of the original looking upholstered daybed, and her overall goal is to create the ultimate place for relaxation. The undulating surface of the bed is created by pieces of upholstery foam of differing sizes which make for a unique sensory experience. The intent is to fire up one's curiosity about the tactile seat and to encourage people to explore the surface of the piece. 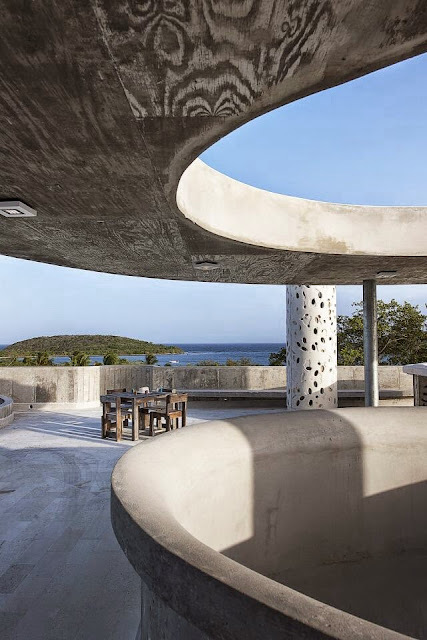 Evocative of the heavy, concrete structures of Brutalist architecture is this unique hotel on Isla de Vieques in the Caribbean. The boutique hotel features 22 rooms which are screened by an intricate perforated facade. The interior of the hotel is unabashedly modern and features bright, playful designs and each room comes with its own outdoor terrace. 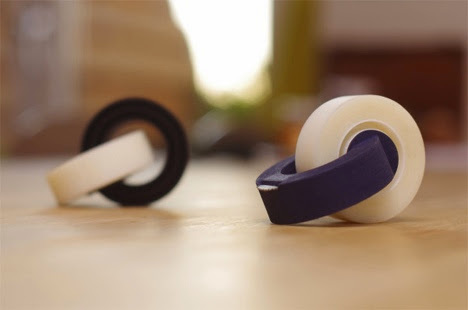 Perfect for reducing the clutter on your desk or in your drawers is the ClickTape sticky tape dispenser designed by Derk Reilink. Consisting of a circle with a small opening and a set of metal teeth for cutting the tape, when mounted the device looks like two interlocking circles. While it is still just a prototype, the ClickTape is still a definite improvement looks-wise to the standard dispenser. It will be available in five colours. This sculptural table from Sandro Lopez unveiled at Milan Design Week 2014 was born of the idea of the unusual composition of identical geometries. 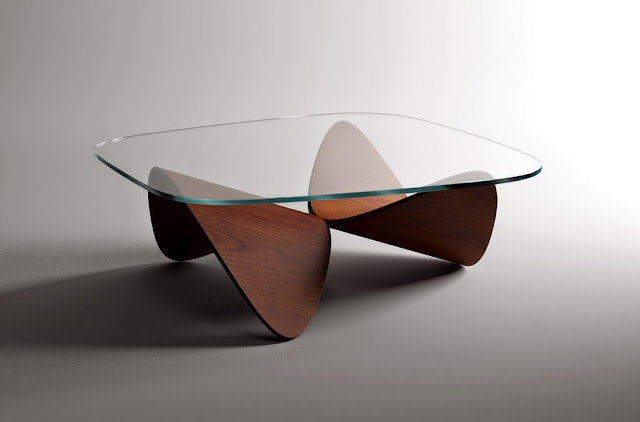 Consisting of a clear glass top supported by a curving wooden base the shape of which varies depending upon the the position of the viewer, the table has more than a little hint of Noguchi about it. The curving lines of the base which touch the top at three carefully studied points can be seen clearly through it and the glass adds a sense of lightness to the form. The base of the table is made from beech or oak veneer and is available in cream, dark brown and natural wood finishes.